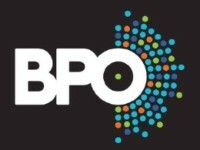 Buffalo Philharmonic Classics Series concert, "The Planets" by Gustuv Holst. Tickets are first floor aisle seats and easily accessible. 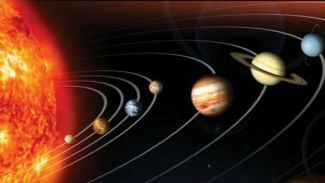 “The Planets” by Gustuv Holst is one of the great works of the classical orchestral repertoire, written around 1914-1916 and premiered in London on September 28, 1918, The Planets was immediately hailed as a symphonic blockbuster. The seven-movement suite, depicting planets from our solar system, is beloved by audiences and is a staple of major orchestra worldwide. This Friday morning series features free pre-concert coffee and doughnuts in the Mary Seaton Room. More information on the concert, including additional dates. EMAIL jonathanlwhite@aol.com no later than 5:00 PM Thursday 2/14. INCLUDE YOUR NAME, TELEPHONE NUMBER AND YOUR WISH TO ENTER THE DRAWING. The winner will be notified by telephone after 5:00 PM Thursday with details where to pick up the tickets. Entrants must be a current, paid member of the Allentown Association in order to win tickets. If you are not a member and would like to be eligible for future member offers, please consider joining through the link at the bottom. If you're not sure of your membership status, email contact@allentown.org and we'll look it up for you. 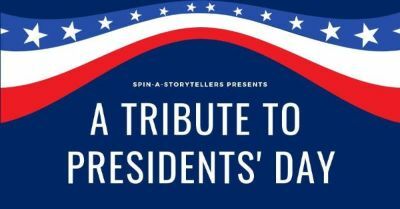 The TR Site is delighted to be partnering with Western New York's own Spin-A-Storytellers for a special Tribute to Presidents' Day. These accomplished storytellers will entertain families with a variety of short stories, all featuring a presidential theme. Blankets to sit on and teddy bears are encouraged (but not required). Recommended for families with children under age 12. All children must be accompanied by an adult. Admission is $5 per family group, which also includes a snack and special gift for the kids!